Yes…! 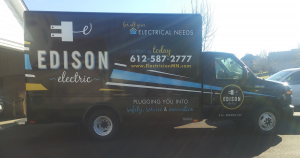 We do electrical repairs in Eden Prairie! Are you thinking about replacing the light switches or smoke alarms in your Eden Prairie home? Maybe you need to add appliance circuits and wiring to certain areas of your home for new home comforts like electric fire-place inserts and Jacuzzi tubs. Give the electricians at Edison Electric a try! Our expert electricians provide Edison’s legendary brand of great service to all of the neighborhoods in Eden Prairie. Our fully stocked service vehicles will arrive at your home with all the tools and parts to handle your job properly the first time. Don’t leave your electrical to do list on the shelf! Give us a call today and experience the Edison difference. Visit our website to read our electrician reviews from happy customers in Eden Prairie, MN and receive $25.00 off your next neighborhood visit!